Q: Fitting in your studies around your acting career must be challenging, why did you join InterHigh and how does it compare to your previous educational experiences? A: Yes, it is a challenge but I cope, it’s great that the lessons are recorded. I joined Interhigh for two reasons; one because I really didn’t enjoy mainstream secondary school and wasn’t happy – it just wasn’t for me and two because of acting. Interhigh is, in my opinion, one of the best things the internet can be used for. I get way more out of the lessons because there’s no frustrating distractions or loud unruly classes, you get to sit in the quiet and safety of your own home and learn. It’s great. I love it and recommend it to everyone. It also decreases peer pressure and the desire we all have to fit in to a certain box. I think it allows people to be who they truly are and it leaves room for people to do the non-academic things they love. 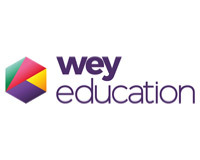 Wey Education plc (LON:WEY) is the AIM listed holding company of an educational group providing services online worldwide. The Group’s main operating divisions are InterHigh, Wey ecademy and Academy21.